อ้างจาก: Suchai ที่ วันจันทร์ 16 เมษายน 2012 เวลา 02:20 น. Well the good thing is that they do work - they are wired just fine and music comes out. Score one for the Mogami. Secondly, the hum has gone - which is brilliant. It wasn't the Lamms - they are really quiet. Just a little more noise from the 6C33Cs than from the Western Electric 300Bs. The cables are flexible and easy to route and they look good. I've only just started listening, but I must say, I'm very impressed. The sound is crystal clear with excellent detail, but not tipped up at all. Bass is all there, when the recording calls for it, and the sound projects very nicely into the room. I'm playing a CD that I put on yesterday called "Global Fusion" by L. Subramaniam. I know this album very well. This is one of my favourite crossover albums - stunningly brilliant South Indian and Kanartic roots with a modern jazz feel. Soaring vocals in the Indian style, tablas, guitar, percussion, keyboards and of course, the fabulous violin work by the master, Subramaniam. Very impressive. As I just listened to this yesterday, the improvement is obvious to me. There is a nice drive to the music, and the interplay between the performers is delightfully rendered. The album is mostly acoustic instruments and the tone is right on. To be honest, for $50 I just did not expect this quality of sound. 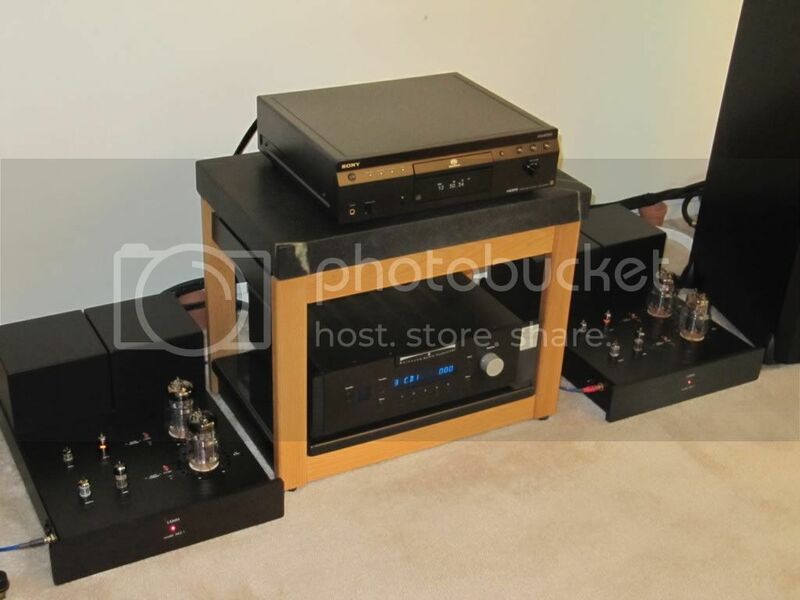 I thought I was getting something to tide me over while I decided on a serious (well, seriously priced) interconnect to go with these $30,000 amps. But I can tell you, these are going to stay on my system for a while - at least until I get the full measure of the Lamms. I'm as bad as any audio junkie and can be completely sucked in by the fancy cables - but this has totally reset my thinking. I use Mogami sometimes in pro applications. Good neutral sound. I use them with my Ampex 351-2T, one end XRL, the other RCA. Also with my Ampex mic/line mixer sometimes, when I don't need a wire EQ boost of some kind. Good sound, smooth, no weird EQ stuff. Cheap and good, like most pro wire. I use a Jelco balanced tonearm lead which is constructed with Mogami 2534 (as is the Extremephono tonearm cable). 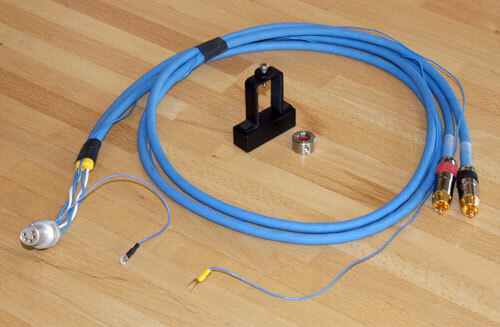 Very affordable for a balanced tonearm cable at around $150. The Jelco replaced another balanced tonearm cable constructed with Cardas wire and a Cardas DIN. 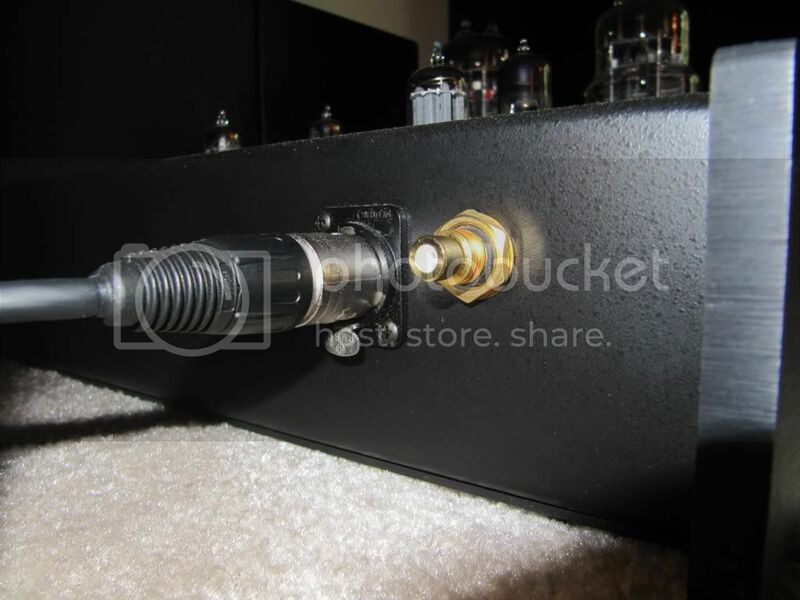 Both the Jelco and the Cardas were cryoed and burned in on an Audiodharma cable cooker. The Jelco was half the price of the Cardas cable and was noticeably better. Fuller, smoother and, at the same time more detailed. As an experiment about 4-5 months ago, I bought some Mogami 3103 speaker cable (about $2.50 ft. from Performance Audio in Utah-they were very good to deal with) and had it terminated with copper based Vampire spades. It ended up replacing Kimber 8TC (which was terminated with Kimber Postmaster Spades) which retails around $25-both of these were cryoed and burned as well to keep the comparison absolutely fair-and I sold the Kimber which I had owned for many years and pocketed the difference. Mogami has a range of wire(s)-their higher end offerings, which are still ridiculously cheap, are capable of very high performance. I'd characterise the Mogami sound as being very neutral and smooth across the entire frequency range. They don't really "hype" any particular part of the frequency spectrum and just sound "right". I'm a big fan of Mogami. อ้างจาก: Suchai ที่ วันจันทร์ 16 เมษายน 2012 เวลา 03:10 น. อ้างจาก: ~*JerN*~ ที่ วันจันทร์ 16 เมษายน 2012 เวลา 02:53 น. อ้างจาก: admin ที่ วันจันทร์ 16 เมษายน 2012 เวลา 10:14 น. อ้างจาก: Martra ที่ วันจันทร์ 16 เมษายน 2012 เวลา 09:29 น. อ้างจาก: vichien ที่ วันจันทร์ 16 เมษายน 2012 เวลา 10:33 น. อ้างจาก: TroRuwA ที่ วันจันทร์ 16 เมษายน 2012 เวลา 10:36 น. อ้างจาก: admin ที่ วันจันทร์ 16 เมษายน 2012 เวลา 11:06 น. อ้างจาก: admin ที่ วันอังคาร 17 เมษายน 2012 เวลา 12:20 น. อ้างจาก: Suchai ที่ วันพุธ 18 เมษายน 2012 เวลา 01:10 น. อ้างจาก: Suchai ที่ วันพุธ 18 เมษายน 2012 เวลา 12:48 น. อ้างจาก: wut ที่ วันพุธ 18 เมษายน 2012 เวลา 16:42 น. อ้างจาก: Daddy ที่ วันอังคาร 17 เมษายน 2012 เวลา 12:44 น. อ้างจาก: Blackmore ที่ วันพุธ 18 เมษายน 2012 เวลา 14:02 น. อ้างจาก: Martra ที่ วันพุธ 18 เมษายน 2012 เวลา 16:44 น. อ้างจาก: Daddy ที่ วันพุธ 18 เมษายน 2012 เวลา 16:44 น. อ้างจาก: Martra ที่ วันพุธ 18 เมษายน 2012 เวลา 16:53 น.